Your baby has arrived and you are preparing to go home with your precious bundle. You are excited and nervous about many things that are going to happen in your new little family’s life. There is still so much to do but the main thought on your mind at the moment as your being wheeled downstairs by a nurse to your waiting car is your dog. Have you prepared your dog and yourself enough on your newborn and the dog? Don’t fret, there are many moms and dads that have been through this before and it’s amazing how dogs react to your first child versus your next child or as many as you decide to have. The first child is definitely different compared to the second child. The reason is the smells and the tiny bundle your dog just doesn’t quite understand. Don’t be surprised if your dog wants your attention just as much as your newborn for the first two weeks. You might be a bit nervous but this is all normal. Dogs are not used to the different smells of a baby. There are lotions, powders, baby’s scent etc..for your dog to adjust too. In addition. Make sure the diapers are kept separate from your dog. If you are breastfeeding, and your newborn starts having bowel movements, don’t be surprised if you see a ripped up dirty diaper on the floor. Dogs love the nutrients in breastmilk, so make sure your garbage can is kept up on a counter or out in the garage if you have access to your garage door from your house. This can be very frustrating because you are still recovering from childbirth. Don’t be surprised if your dog wants to guard the crib or the area where the baby is sleeping 24/7. This is all new to the dog and he is just as nervous as you are. There are many books and articles out there for you to read and blogs are very informative for a nice short read on the basics and best ideas on how to introduce baby to your dog. Dogs come in all shapes and sizes so it depends on how comfortable you are with letting your dog smell your new baby right away. It’s probably a good idea to have exposed your dog to children before your baby was born. Take your dog for walks past the neighbors’ house and let your dog smell the children. Most people who are good people have great dogs that are friendly and full of love. We like to think all people are kind to their dogs but we all know that isn’t the case. Let’s talk on a positive note and see how your dog reacts around children. Most dogs love to stop and visit with people. Dogs are the first ones who detect a good person from a negative person. Dogs have a keen sense of smell and sense danger when danger is approaching or a possible situation could happen. Introduce some of your newborn’s blankets and clothes to your dog. Take your dog into the baby’s room while you are still pregnant and let him sniff around for a while each day before your child comes home. Dogs know the schedule of their master and know when to expect you before you arrive home. 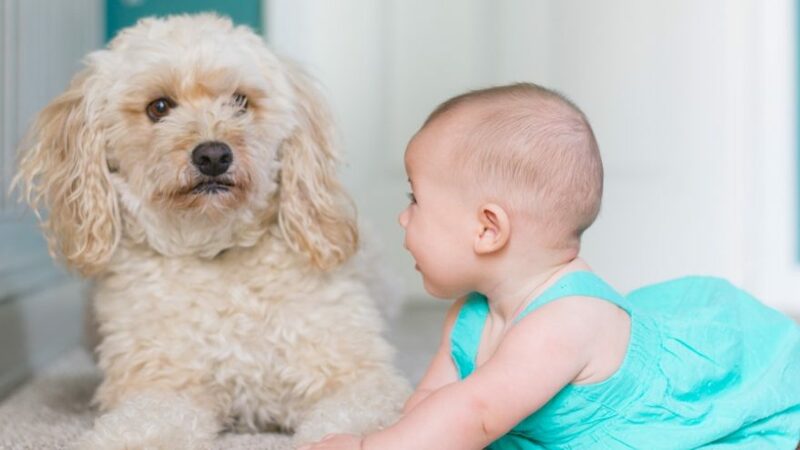 Baby is home now and it’s time for your dog to meet the baby. Make sure you are holding the baby so your dog can smell your newborn. If your dog seems a bit rambunctious, wait a while and try to introduce them again. Don’t be nervous if your dog wants to sleep wherever the baby is sleeping, because your dog is being protective of your baby. Make sure you don’t skip any walks with your dog and if the weather is permitting, and you can handle both your dog and baby, you can take both of them for a walk. Walking is great after pregnancy and a good exercise, to begin with within reason. Just remember one thing. When you bring home your second child. Your dog will sniff your baby once and walk away. It’s amazing but dogs really don’t know what to think about newborn babies so it’s best to prepare all of you before the baby comes home. Here are some helpful hints from the American Kennel Club: The AKC says that what’s exciting for you and your spouse can be frightening for dogs. Think about the fact that your newborn seems like a human to your dog, but it smells, makes sounds and movements like nothing your dog has ever witnessed before. Suddenly this loud little creature is taking up the majority of your time. Make Gradual changes to your dog’s routines: You can change where your dog sleeps or where you walk your dog. You can also go through a routine with your dog of caring for your baby by changing diapers, feeding, and rocking and walking an empty stroller. Cut down on the amount of playtime and attention your dog gets two or three weeks before baby arrives: Don’t last minute give your dog a bunch of attention, only to have this attention stop when your newborn arrives home. 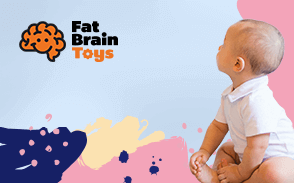 Play a tape recorder of various baby sounds: You can start to increase the lengths of the time you play these sounds to help your dog adjust. Once the baby is born, bring a blanket so your dog can get used to baby’s smell: Include lotion, powder etc so your dog gets used to the many different scents. Greet Your dog alone: Dogs might become very excited so it’s important to greet your dog first so your dog doesn’t jump on the baby. Use a leash: Remember to use a leash when you allow your dog to sniff the baby. Your dog might think that crying and different sounds is an invite to play or a warning if the baby is crying. Most dogs adapt easily but it takes a few weeks so make sure you are ready and the dog is comfortable with the baby before you remove the leash. Always keep baby elevated with dog interaction and make sure an adult is around and between the dog and baby at all times. Give your Dog plenty of attention: When the baby is around, make sure you give your dog plenty of attention. You wouldn’t want your dog to think only good things happen with treats or attention when the baby isn’t around. Don’t yell at your dog for picking up baby’s toys: You should just switch the toys and give the dog its toy to eliminate negativity. Once Baby Crawls: Make sure once baby crawls that your baby isn’t pulling on your dog’s ears or tail. You wouldn’t want to hear your dog snap and growl because that’s scary for both you and baby. Dogs communicate warnings when they have limits. Never leave the most trusted dog alone with the baby! Create a safety zone for your dog: This could be a dog bed, a blanket, a small kennel in a special place. When your dog is ready to rest, your dog will know when he’s had it and will feel secure in his designated space. Use a gate: Don’t feel bad when you use a baby gate. This protects the baby and dog when your dog decides to be curious and jump into the crib or a changing table.